WEXY gave me one box of lunch and munch bags to facilitate our review. WEXY lunch and munch bags were inspired by kids, and created by two moms that believe there is a real need for kids to get excited about eating healthy. Tracey and Carie have both maintained commitments to their families healthy lifestyles. They recognize the importance of organic food that has not been genetically modified. There can be many challenges created by eating processed, refined and genetically modified foods. Feeding children organic food can be especially important to their health during the early years when the brain and nervous system are still developing. Children are often influenced about what they eat, by who they are with. Whether at school or a birthday party they want to feel like they fit in with those around them. Visual stimulation is a vital in how kids react and interact. Carie and Tracey believe its not just about what to eat its also about cultivating self esteem. Each WEXY bag is custom designed with its own story. It allows children to visually interact in the aspect of food, the same way as with conventional cookie and cereal boxes. 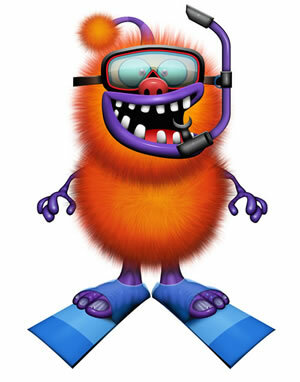 WEXY monsters help make kids feel confident, without sacrificing the fun food holds. 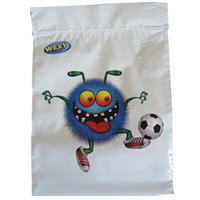 WEXY snack bags are eco friendly bio degradable, disposable, recyclable and reusable. They are packaged using 100% recycled material. 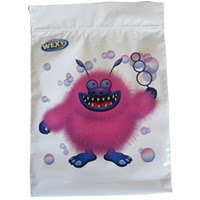 My kids love the WEXY lunch and munch bags. Because it is summer they like to put their afternoon snack in the bags and eat them outside. My just turned 10 year old also likes storing his crayons in his favorite monster bag. They don't rip as easily as other plastic zippered baggies we have tried. I love that they are easy to wash and reuse. I love these bags! Where did they come from? I need to get some for my grandson, he will freak out! Hahaha! So darn cute! Like Mary B asked, where can these bags be found? these bags are super cute, I know my grandsons would love these with their lunches at preschool. These are some super cute bags. I would also love to know where you can find these bags? My son would love these. thank you for your amazing review. They can be purchased through their website! These are so cute! The kids will love them. They will definately want to take their lunch now.